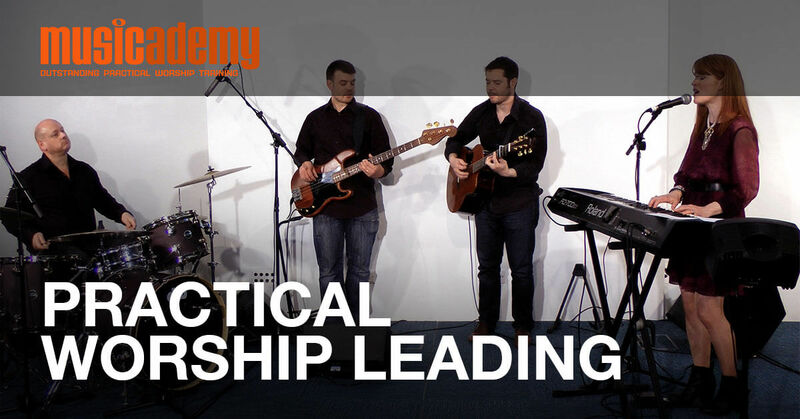 Here at Musicademy our focus has always been on contemporary worship music (or at least introducing contemporary techniques to more traditional music and musicians). Less so on traditional music, e.g for an organist! 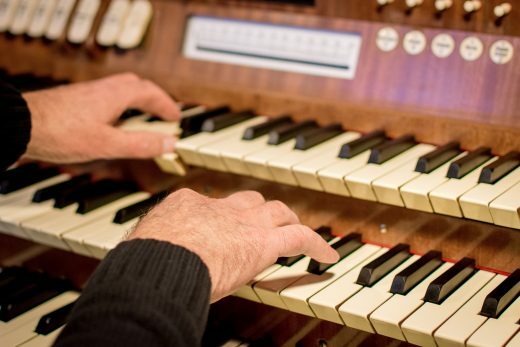 However… Our recent batch of guest writers have brought an additional dimension, with professional choral conductor, pianist, organist and singer Sacha Tomkins writing about leading worship (from organ, no less) in a more traditional setting. This is part three of Sacha’s series on the subject. If you need to catch up, links to the previous articles are below. If you have enough hymnbooks available to select from… Sometimes the version of the hymn in the regular hymnbook is not the best arrangement. This could be because it’s harder for you to play. Or it might be too simple and not hold enough interest. Yes, you must get the number of verses correct (and please, always check!). Still, it’s often useful to see what the other hymnbook(s) have to offer. Also, there are great online resources for hymns, such as at hymnary.org. Every hymn needs an introduction. The congregation need a chance to familiarize themselves with the tune, key and tempo. So how do you go about making it effective? About 10-20% of the time (and especially at Christmas), the hymn will be very well known. That means you can get away with playing the last phrases of the verse or chorus for your intro. However, for 80-90% of hymns, if you do this, it won’t be enough for the congregation to remember the start! So, if you are in any doubt whatsoever, play the first phrase or two. 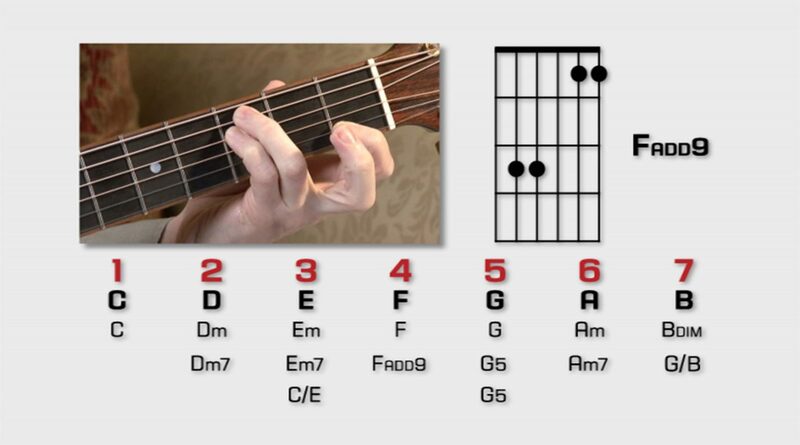 It is fine to end your intro on the V/dominant chord. The congregation are capable of taking that musical lead. As often as not you’ll find your intro ends on the I/tonic chord. (If my note names are unfamiliar, the diagram below should help!). If you really can’t find a good point to round off your intro, that’s fine. Just keep playing without pausing till the end of the verse. Pausing will cue the congregation to start singing too early! You’ll not need to do this often at all. You then hold the final note of the intro for an extra beat or two. Preferably a full bar with a bit of breathing space built in. This indicates to the congregation that it’s their turn. Then, if your instrument allows it, this is a good time to increase the volume through that final note. That’s another cue for the congregation. The congregation won’t generally recognise that this is what you’re doing, but again it’ll help them to stay in time. Do look at what the hymn is about, and play the different verses at different volume or organ stop setting. It will help convey those words more expressively. The congregation will notice, and they will then pay more attention to the meaning behind what they are singing. That means they are thinking about God more! It can be immensely uplifting/enabling to offer an alternative last verse. There are plenty of resources available that allow this. They aren’t always easy, so don’t feel obliged. But an organist who can include this really helps a congregation to lift their voices to God. Here’s the one that I use, but do shop around for one that meets your ability best. Another tip is to pull out more stops / add extra volume. It makes the last verse a real declaration of worship, and encourages the congregation to sing more enthusiastically. Consider that your average worshipper does not sing confidently. Having a louder accompaniment lessens their fear of being heard! 5. Working with the liturgy: which booklet? Traditional services will generally have a booklet or order of service for the appropriate liturgical season. You’ll find different booklets at different points of the year. Make sure you are using the correct booklet! The best thing to do is to check. Try asking the person welcoming the congregation into church; they will have been advised which booklet to hand out. This is essential. Most churches will have all the relevant booklets wherever the hymnbooks you use are kept, near the piano/organ… Nevertheless, it’s wise to double check you have the right one. Then you can take your cue as to when to prepare to play. Preferable to just having it announced spontaneously by whoever is leading the service. And, much better than becoming uncomfortably aware of a long silence… With everyone looking at you expectantly! Some, but not all, traditional services, have portions of the liturgy that the congregation sing together. This is a mass setting. You will need to check if this is the case where you are serving. If it is sung, then a copy of the sheet music will generally be available. Try looking in the place where organist/pianist’s hymnbooks and orders of service are kept. The various parts of the mass settings are often given their old Latin name. There’s the Gloria (‘Glory to God in the highest…’), Kyrie (‘Lord, have mercy…’), Sanctus (‘Holy, holy, holy…’), Benedictus (‘Blessed is he who comes in the name of the Lord…’) and Agnus Dei (‘Lamb of God, who takes away the sin of the world…’). Essential tip: if your church service does sing the mass setting, discuss with your leaders EXACTLY what they are expecting you to play. Plenty of churches sing some parts but not others. Are you in any doubt about your ability to play the mass setting? If so, ask the leader if it can be spoken instead. They should be fine with this. Most mass settings have their own introductions written in. If yours has none, treat it as you would the introduction to a hymn; i.e. play the first phrase or two. Try to keep it short – they know this well already because they will have sung it nearly every week! I am only going to touch on this briefly; choirs are worth another blog series in their own right! However, if you do have a choir, it’s worth talking to them. In what ways are they contributing to the worship? What cues are they looking to take from you? They will have established ideas about when to sing in harmony, and when not to. However, unless there is a separate choir director, it is up to you to guide them appropriately. For example, in one setting I have a choir, who previously sang unison for verse one and harmony the rest. However, I like to play an alternative last verse, which will play around with the harmonies. If the choir attempted to continue to sing in harmony over that, it would clash. So we now have an established routine. They can choose to sing in unison or harmony for the first verse, depending on how well-known the hymn is. And they always sing unison for the last verse. Let’s start at the end, as the exit music is the most important aspect of the instrumental music you provide. Different organists have different schools of thought on this. Personally, I like to play an uplifting piece at the end of a service as the clergy process out. It’s a great way to point to God with musical praise before the congregation depart. It’s worth having a number of pieces up your sleeve, so that you don’t repeat too often. Do keep this within your ability. Much better to play something simple and well, than difficult and unconfident. Don’t hesitate to turn up the volume for this, too. This is the last piece of music they’ll hear in devotion to God; it’s usually got to last them till the following week! If you feel truly crippled by the thought of playing an instrumental solo, don’t worry. Most churches are happy for you to play a quiet hymn at this point instead. It’s not as effective, but it will round off the service. Working backwards, most churches hope to have some music played during communion. Let me stress this: you can and should take communion yourself first if you want to. You can resume your duties immediately afterward. Ask your church what they expect here. Some encourage playing and singing of reflective, quiet hymns from a keyboard; some expect quiet instrumental music from the organ, and there are a variety of possibilities in between. Introits, which you generally play as the clergy formally enter the church, are also an element of organist duties. Some clergy will give you some kind of warning of their timing, especially at weddings. Otherwise you generally play quiet music from around 15 minutes before the service starts. Once the clergy have processed in, you find a suitable point to round off. They’ll wait. I probably mentioned this in earlier posts, but it’s SO essential that I’m going to repeat it here. It is far more important to play confidently than to play well. Keeping the tune going, even if the rest of the hymn is a mess. Don’t slow down or pause as you fumble for notes. Keep the volume at a robust level. The congregation (even confident singers like me) don’t want to hear their exposed voices over a timid accompaniment. Loud is good, and a great way of encouraging more volume (and therefore more praise to God) from the singing. Keep the tempo bright. This is crucial, even if you’re not confident in playing well at a good speed. Think about what happens if the hymn turns into a dirge because it’s too slow. The congregation will lose heart in the hymn, and just want it to be over. They won’t be making the most of an opportunity to praise God. If you’re really struggling with the speed? 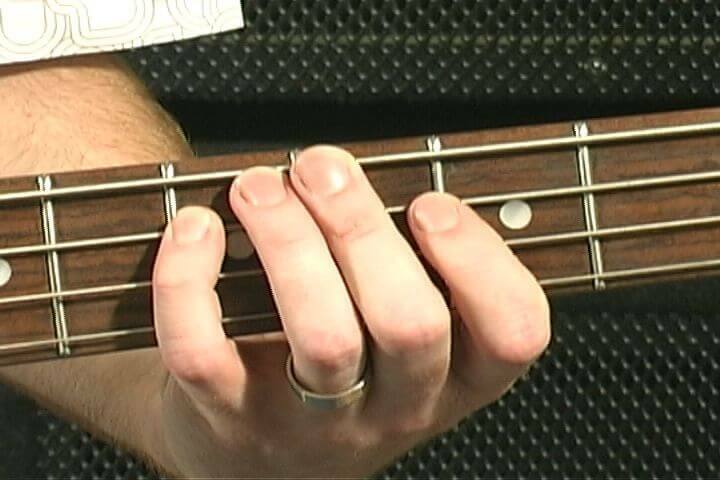 Play just the tune in the right hand and the bottom note in the left hand or pedals. That is enough, especially if you have a good volume going. It will do far more to motivate your congregation than slowing down. Seriously. That’s all from me for now. I imagine some of you would already know much of this! But… if you know an organist or pianist who is just setting out on their journey, this might help them. Just remember, your ultimate goal is to help your congregation connect with God. Keep this in mind throughout, and you’ll be a huge asset to your church. 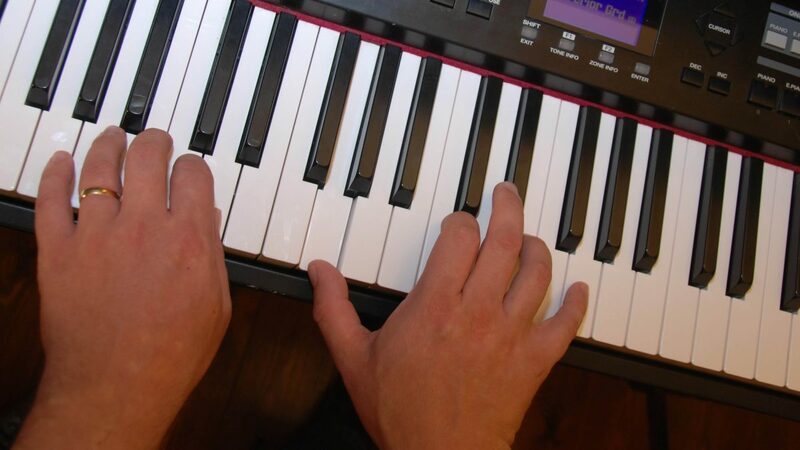 This entry was posted in 50+ practical tips, Keyboards, Worship and tagged advice, catholic, church of england, Church stuff, hymns, keyboard, methodist, music, Musicademy, organ, organist, organists, piano, praise, roman catholic, service, tips, UK, worship music. Bookmark the permalink. Trackbacks are closed, but you can post a comment.